Did you miss the opportunity to see Ray in October or November last year? 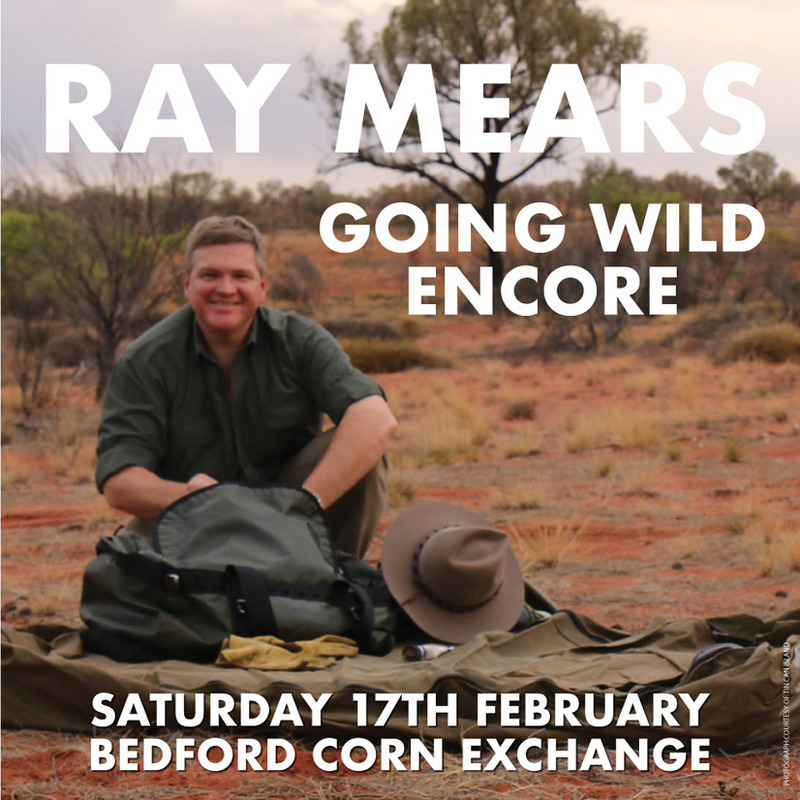 Well, we are delighted to announce that Ray has added an extra date to his recent ‘Born to Go Wild’ tour for Saturday 17th Feb in Bedford at the Bedford Corn Exchange. Tickets are selling well, so don’t leave it too long if you would like to watch this show. As always Ray will be delighting audiences as he looks behind the scenes at the making of his latest TV show Australian Wilderness, giving his survival tips and lighting fires on stage! Ray will also be signing books after the show so a great opportunity to meet the man himself. This entry was posted in Ray Mears and tagged Australia, Born to go Wild, Encore, firelighting, Ray Mears, tour, TV series on January 17, 2018 by Woodlore Team.